Home of the Buffalo Sabres!!!! 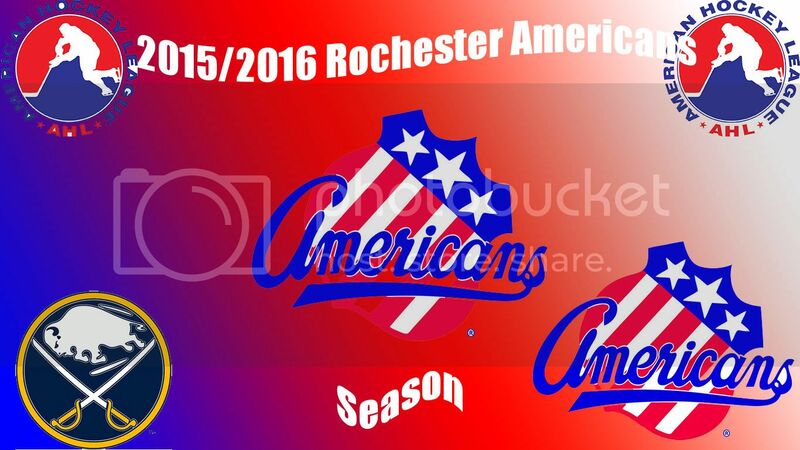 Hello all Welcome to the Rochester Americans thread. If you're a fan of the Amerks Welcome! I will be posting the Rochester Americans history and schedule in a little while! Hope you have a pleasant day! Join the Sabres Twitter page. http://twitter.com/SabresForumice! The Rochester Americans (colloquially the Amerks) are a professional ice hockey team in the American Hockey League; the team is an owned-and operated affiliate of the Buffalo Sabres. The team plays its home games in Rochester, New York, at the Blue Cross Arena at the War Memorial. The Americans are the fourth-oldest franchise in the AHL, celebrating their 50th anniversary in 2005–06. Rochester was awarded a new franchise in June 1956, when the Pittsburgh Hornets were forced to suspend operations after their arena, the Duquesne Gardens was razed in an urban renewal project. With the Hornets franchise in limbo until a new arena could be built, there was room in the league for a team in Rochester. The Amerks' team colors are red, white and blue. The logo is a patriotic badge with "Americans" written in cursive script. The Americans have played for the Calder Cup 16 times. They have won six Cups: in 1965, 1966, 1968, 1983, 1987 and 1996. They have lost in the finals ten times: in 1957, 1960, 1967, 1977, 1984, 1990, 1991, 1993, 1999 and 2000. Last edited by SR2007; 10-07-2015 at 12:37 PM. Reason: MADE THE FONT BLUE!